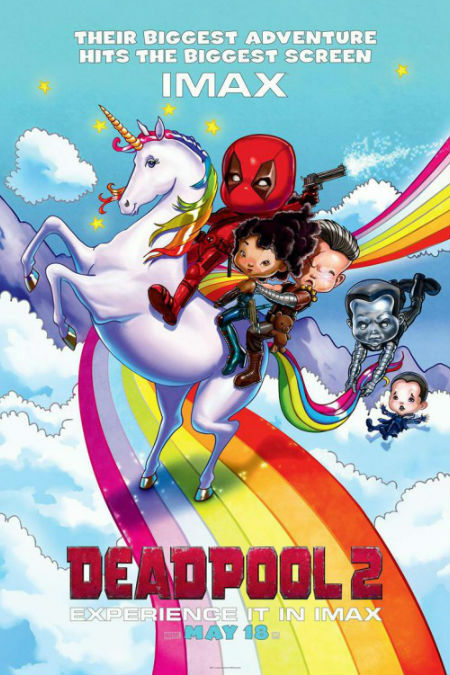 In the beginning was Deadpool and behold he was very good – raunchy, funny, irreverent, in-your-face, trope-smashingly good. He begat, as is so often the way in the mist-shrouded, bottom-line driven ways of Hollywood studios (who also care about artistic creativity too of course; hahahahaha, good one, Andrew) Deadpool 2, a film that took the envelope-pushing craziness of the first film and made it even more OTT-ish, this time with neon, more X-Men satire and some fairly intense use of lawn mulching equipment. Now, as is the way of things in our postmodern, self-aware, viral-addictive age, comes the hilarious inevitable parody, courtesy, as was 2017’s Deadpool The Musical – Beauty and the Beast “Gaston” Parody, of some very dedicated fans, led by director Julian Higgins, who have gone all out to gift us Deadpool the Musical 2 – Ultimate Disney Parody 2. Time to Manuel your Miranda people! Get on it!